game and offered his sincere congratulations to the winner. 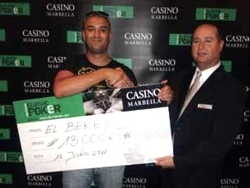 Participation by real Texas professionals was represented by players like Oscar Blanco Â“La PÃºaÂ”, the Madrid player who bagged many victories at the fourth edition of Â“Tangier Poker MillionÂ”, Mario SÃ¡nchez Cano, from Malaga, a 23 year old with an impeccable track record last year or JoaquÃ­n Serrano Â“YiyoÂ”, who gives no truce to anyone in the course of the MCP. 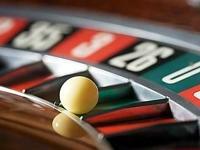 More than 12,000 fans shared the tension of the tournament online when tracking the Malaga Poker hand. The tracking instantly shows all the moves, the different movements, Cheap Count, interviews and actions to compose the complete picture of a great league, the Marbella Poker Classic. increased extra points in repurchase motivated the players to almost double the previous stage Rebuys. the different satellites that feed the Casino Marbella.